You don’t need to know much about red wine to pick it out of a line up – it’s red. If you’re blind folded, you can still identify it from whites and roses because it’s heavier and more complex. However, distinguishing from one varietal to the next can be tricky. The differences in red wine range from obvious to incredibly subtle, depending on the bottle and your tasting experience. The grape skins give these wines their color, but it’s the combination of terroir, process of fermentation and wine maker’s style that define its flavor and other characteristics. With over 50 main red varietals, hundreds in all, knowing the differences in red wine varietals will help you narrow the choices so you can find a few new favorites. Here's a simple guide to get you started. When people talk about the body of a red wine, they’re referring to the affect the tannins have in the mouth. For instance, a full-bodied wine will have a strong, bold flavor because the skins of the grape were in contact with the grape juice for a long period during fermentation. Knowing the type of body you prefer will help you choose a bottle you'll enjoy. Full-bodied - Bordeaux and Cabernet Sauvignon are heavy, full wines. Medium-bodied – Merlot and Chianti are a few varietals with some tannin presences, sometimes a slight tartness, but not as strong as full-bodied ones. Light-bodied - These are the lightest red wines, often used as a table wine because they go with many types of food. French Gamay is known for its light, fruity flavor and purplish color. 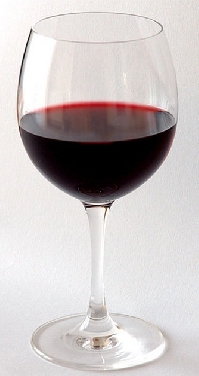 Merlot – Merlot is widely available in every price range. This red is a people please because it often has a subtle, smooth flavor. Unlike other reds, it’s not very tart or acidic so it’s often used in blends. Washington Merlots have excellent flavor with notes of plum and cherries. Cabernet Sauvignon – The primary fruit you taste in cabernet sauvignon is a tart black cherry. This grape is grown all over, but according to Wine magazine it’s the defining grape of the Napa valley region. The color is a deep purple. The flavor can be intense so other regions blend it with other grapes. Pinot Noir – Pinot Noirs stand out for their rich flavor and high degree of drinkability. This varietal is both delicate and full of velvety flavors. New Zealand, California and Oregon are known for their pure Pinot Noirs. Gamay – Gamay stands out for its high acidity and low level of alcohol. Unlike many Old World wines, these should be enjoyed while they’re young (not stored for years). The Loire Valley is famous for its Gamay grapes, but you find them in California, too. The flavor is fruity and bright like raspberries and sweet cherries. Shiraz – Shiraz is a complex varietal that can age well for decades, provided you can wait that long. Leading Shiraz growing regions include France and Australia. The flavor is less smooth and spicier with notes of pepper and tart cherry, but the tannins are smooth. This grape continues to grow in popularity in California and Washington, where they can have a luscious blackberry flavor. One of the best ways to explore varietals is to taste many kinds and note the differences in red wine. Tear off the labels and glue them in to help you remember the vineyard and varietal of those you like. Don’t write off a grape just because you don’t like one bottle. Try the same grape from different regions because climate and soil plays a huge role in the flavor. For instance, Argentina grows extraordinary Malbecs with a strong, tart flavor typically aged in oak barrels, while Malbecs from California have a weaker flavor that results in some bland wines. Once you know your primary preferences, high versus low acidity and full versus light bodied, it gets significantly easier to find reds that dazzle your taste buds.